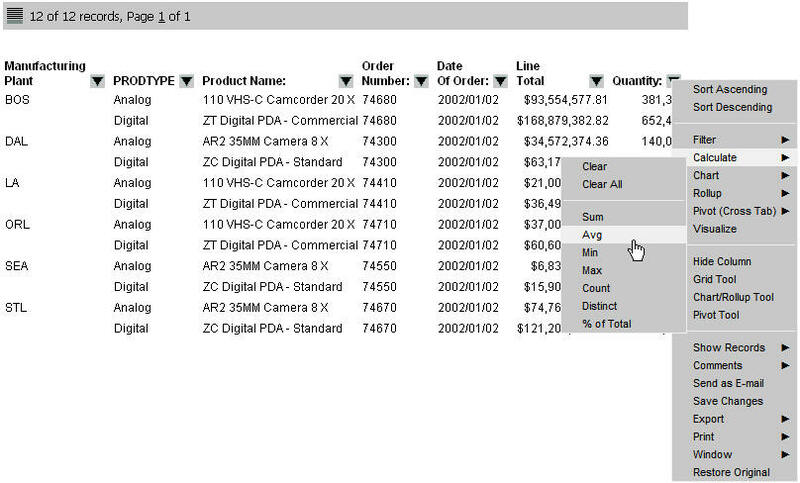 Interact with the data, using analysis options similar to those found in an Excel workbook, without any connection to a server. 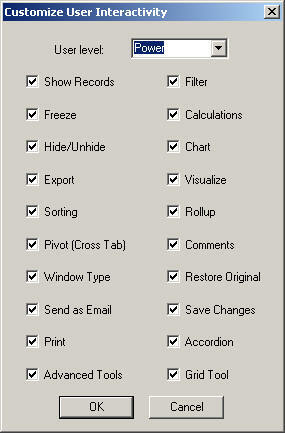 Analysis options include filtering, sorting, charting, and much more. Save the report on a local machine with active report functionality. Since no connection to a server is required to view the data or use the analysis options, a user can save and use the report anywhere. 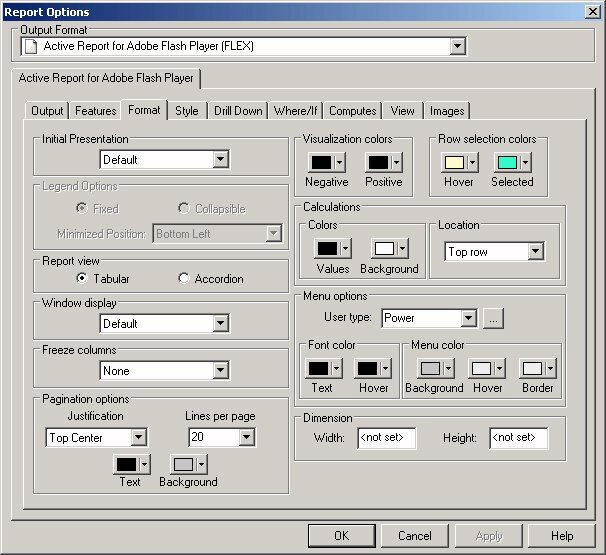 An active report using Adobe Flex includes most of the capabilities available in the HTML version of active reports in a visually enhanced user-friendly report format. An active report delivered as a self-contained Adobe Flash file (.SWF files that are Adobe Flash Player compatible) allows for faster analysis of large data sets and interaction with the active report. The following image shows a simple HTML active report. The record status and page navigation bar appears at the top of the report. You can save existing reports as active reports. If you do this, be sure to modify any unsupported features as necessary. For more information about using active reports, see the Active Technologies User's Guide.